How can donating your organs and body be a frugal thing to do you ask? Well, the answer is simple; you are helping other people to live. I understand that donating organs and or your entire body after death can be a religious no no. However, if you are not bound by your religious beliefs why not help others. How does donating my organs and or body help others? There are over 120,000 people currently in need of organs and tissue transplants. Of course these people have to be on a registry to receive organs as well as those who want to donate after they pass away. Each and every day 20 people who are waiting on a organ transplant end up dying. My sister passed away 12 years ago from complications of Lupus. She simply went to sleep one night and never woke up. She was 49 years old. My sister was so sick with Lupus she wanted to make sure she could help scientists find a cure or treatment for this terrible disease. Upon her death she donated her entire body to the Miami Medical Center for medical students and doctors to study. Talk about a selfless act. My sister was the very first person in our family to do an entire body donation and this has led my brother and myself to donate our bodies as well to medical science. How else are new doctors to learn about what certain diseases do to our bodies and with tissue samples and other tests doctors and scientists can hopefully come up with some type of cure or treatment. Who is looking for organ donations? The people who need these organ donations are sisters, brothers, mothers, fathers and children. It doesn't matter what age you are or what color you are, we all have the same organs. Through the death of one person, that one person who has a donation card can save up to 50 of these people. Here in the United States when you are getting a drivers license for the first time or renewing your license, you can simply check a box that states you are a organ donor. When you die your organs are harvested to help others. 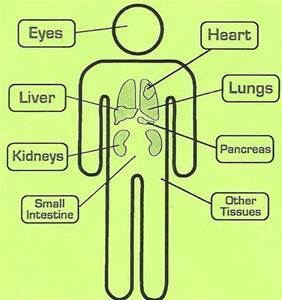 Entire body donation can be made through your nearest medical school or hospital that is accepting entire bodies. There is a simple application to fill out and mail in to the donation facility. If you have a family or close loved one and you are all for organ and or body donation please discuss it with them. Explain your feelings about donating and how you are helping many who can be saved and live a long and healthy life. Also, put your wishes down in a Last Will and Testament. Make sure you include any letters from medical schools that you have been accepted as a donor. Also, include a copy of your drivers license which shows you are a donor. Of course donating your body and organs has to be done immediately after death so make sure everyone in your family knows your wishes. Donating your organs and or entire body is frugal in that you are sharing of yourself, your entire self, in order to help others live. You are helping a young child live a full and happy life which would otherwise be lost to their terrible illness. You are helping medical science find cures and treatments for diseases. You are helping to teach future medical doctors and medical scientists of the world by studying your body. Body farms are research facilities that teach the different decomposition of bodies in various scenarios. By studying the decomposition of a body in scenarios such as being buried in a shallow grave or being in the water, students, doctors and forensic detectives can accurately tell how long the body was exposed to the elements. Why is this so important to learn? Well, this way by studying how the body decomposes in certain scenarios then forensic detectives can accurately tell how long the body has been exposed and dead. Pretty interesting stuff. In the United States there are at least seven (7) body farms with bodies donated in the name of science. I know this may have been a gruesome topic to some, however, to others this may have peaked an interest in organ and body donation. Blackberries are a climbing plant and are fantastic to plant as a growing vertical hedge in your backyard. Blackberries should be planted in full sun in well drained soil and can produce berries for up to 20 years for your family to enjoy. The first year you plant your blackberry bush it will not produce any fruit as not only does it need to acclimate itself to where it is freshly planted it will take that entire year for it to mature. Blackberries love the full sun and when trained to grow on a trellis will provide not only fruit but a great privacy fence. A week or two prior to the blackberry fruit is mature and ready to pick, place a garden fabric over the the plant so the birds do not beat you to your harvest. Raspberries can be planted in the same manner. 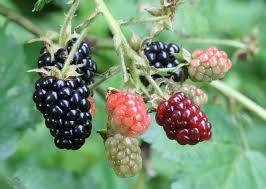 In fact you can plant blackberries on one side of your yard and raspberries on the opposite side. Again, plant in full sun in well drained and mulched soil. Blueberries are another great fruit to plant in your backyard. 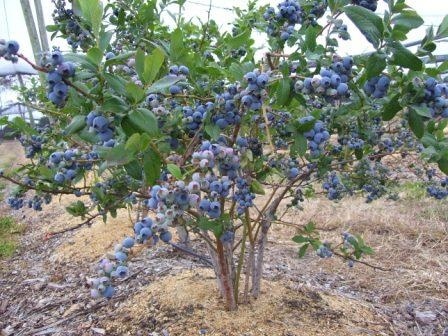 There are two different varieties of blueberry bushes and the best one to plant is the Vaccinium Corymbosum which can grow up to 6 feet tall and pruned to look like a tree. Any other type of blueberry bush will grow close to the ground like it's wild cousins and your yield will not be as large. There is nothing like being able to pick your own fresh fruit and all it took was a little time in your garden. All of these berries can be frozen and of course made into pies and jams and jellies. Remember never plant any edible plant in your front yard. The exhaust from vehicles as well as winter salt that is applied to the roads will not only harm your plants and kill them off, but you can also get a very low yield. Not to mention you do not want to poison yourself from the vehicle exhaust or road salt. Will you plant an edible hedge where you live? If you drink this juice three times a day you will drop 5 pounds in a week. If you take this diet pill you will drop pounds and inches from your waist. Just spray this on your food and watch the pounds melt away without exercising. Don't be fooled by what you see and read about a quick way to loose weight. It doesn't exist, period. There is no quick way to loose weight as it took time to put on the pounds it is going to take time to take off the pounds. Make sense? Stop wasting your money on something that doesn't work. The only way you are going to loose weight is to eat healthy choices and exercise. Simple. My partner, Jason Stover, wrote an article about the Paleo Diet. Now this diet is the way we all should be eating in the first place. It is portion control, healthy food choices, more vegetables and less meat and of course daily exercise. The peoples of the Mediterranean are healthier than the people of the United States because their diet is simple and pure. They eat greens that grow on the land, they eat healthy and they walk. Exercising doesn't mean to join a gym and pay out even more money for something you will never visit. Exercising is as simple as walking the dog, walking with the family, walk every single day. Walking is a low impact way to loose weight and swimming is the other best way to exercise. If from birth to adulthood everyone ate a healthy diet and walked every day there may not be as many obese people as well as some diseases. You have to remember, children mimic what they see their parents doing. So if you as a parent are eating at McDonalds every day your children will as well. Change your way of thinking. Turn I won't into I will. 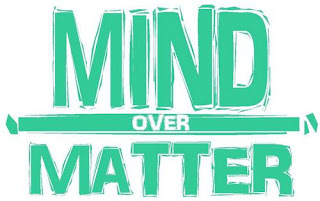 It's all mind over matter in the way you are eating. Everyone has time to cook a decent meal for themselves and for their family. Get the children involved in meal making, they need to learn how to cook anyway. Look at yourself naked in the mirror. Do you look healthy? If not start changing your diet today. Now remember, the older we get the slower our metabolism so it is harder to loose weight. However, you can stay at a steady weight if you are older. Stop chasing the "quick fix" of weight loss as it does not exist. There have been several instances wherein people are fraudulently sold certain insurance policies only to find out there is no coverage. I am going to outline 3 such insurance scams that are making the insurance companies rich while you end up with absolutely no coverage. What can you do? ASK QUESTIONS! There is never a bad question even if you ask the same one over and over again. Never be pressured into purchasing insurance coverage that you know you will never need. Most importantly don't get sucked into those stupid commercials you see on the television promising a home warranty or vehicle maintenance insurance policy......You Won't Be Covered. There are several companies that offer pet insurance. For an average of $400 per year for each pet that you are insuring. The pet insurance promises that there will be coverage in the case of accidents such as if your dog or cat gets hit by a vehicle. Pet insurance also promises that your dog, cat, bird or fish will be covered in the case of cancer, arthritis and other common ailments when a pet becomes older. First of all, your veterinarian will 99.9% of the time not accept this coverage because they know it is a scam and have opted out of even being on the insurance company's list of veterinarians. Breed specific policies claim they will insure certain breeds that are AKC registered and may be a show dog. Again, if you are travelling more than likely the closest vet will not accept this insurance. The bottom line. Don't be fooled by an under educated sales person who has no conscious in selling you a policy. These sales people work on commission and can be rather convincing. This type of insurance claims to cover the cost of appliance repairs such as your dishwasher, refrigerator, stove as well as your heating and air conditioning. You will pay a high premium, on average, $500 per year over years only to find out that the policy covers absolutely nothing. Your brand new dishwasher dies, guess what, if it is brand new you are already covered under the manufacturer's warrantee and your dishwasher will be replaced for free anyway. The same with your new heat/air unit. The stipulations on this idiotic insurance is that the appliances have to be brand new. You do not need insurance on a brand new appliance or heating system. It is already covered. It is not the insurance you need to insure your home. You need homeowners insurance in case of a fire, flood or other catastrophe. Even your local garage won't take this insurance. Besides, there are huge stipulations on this one. Your vehicle has to have under 15,000 miles and less than 15 months old. This is on either leased or purchased vehicle. Let me tell you this. If your vehicle is this new it is still under warrantee for any major issues you may have with it. So, why are you purchasing mechanical repair insurance at a deductible of $250 plus your premium of $500 per year when you are already covered. Automobile Insurance is the only policy you need. It covers accidents, animal hits, hail, liability as well as uninsured and under-insurance motorist coverage. 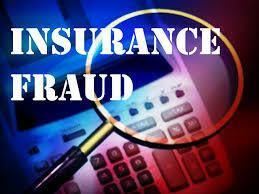 I have worked in the insurance business for over 15 years. Settling claims from wrongful death to garage keepers policies and general liability. I was even the first adjuster in the United States that handled all of the dog sitter policies for the country. Before you sign your name on any new insurance policy or plan, read the fine print. It is the fine print that provides you with all the information that your policy will cover. Don't waste your money on vehicle repair insurance, home appliance insurance or even pet insurance because you are going to find out the hard way that you have paid your premiums only to find out you do not have any coverage. In as much as eating a fresh grapefruit is nutritious there are upwards of 50 medications that should not be taken with grapefruit or grapefruit juice. There are even some medications that interact with other fruit and fruit juices such as the Seville Orange, Tangelos, Bitter Oranges as well as Pomelos. The chemical makeup of grapefruit and grapefruit juice can reduce and even increase how the drug is absorbed in your digestive tract. With this being said, certain drugs will either be of no medical benefit to you or your body will receive a higher dose of certain medications. Either way grapefruit can be dangerous to your health. The pharmacist will place a bright yellow or orange sticker on your prescription bottle to make you aware of dangers mixing grapefruit juice with your medication. Make sure you follow this important medical warning. It is basically impossible to read the tiny print on the warning pages that come with any prescription this is why the stickers are placed on the medicine bottles. If you are not sure about grapefruit, grapefruit juice or other fruit juices please do not hesitate to contact your pharmacist. Humans do make mistakes so if you are starting a new prescription there is nothing wrong with double checking. 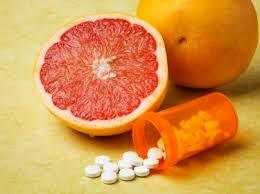 If you are taking these Statin Cholesterol reducing medications it is best to refrain from grapefruit at all costs. I can not stress enough to make sure your medication is fine to take with grapefruit or grapefruit juices as well as the other fruits that are listed at the beginning of this article. It is better to be safe than sorry. Over the years fad diets have been all the rage. These so called 'miracle' diets promise that a person will dramatically loose weight in a short amount of time. Fad diets never work and most are unhealthy alternatives to eating the proper diet. Millions of dollars are spent on these fad diets each year making the person or company that invented such a diet very rich. Do you really think these entities care about you and your health? Think again. They are laughing all the way to the bank while you are wasting your money on a diet or diet pill that has no right to be on the market in the first place. Look at the photograph at the top of this article. This shows the proper portions that you and your family should be eating on a daily basis. Your dinner plate should only be comprised of 30% Meat for protein, 50% Vegetables for proper nutrition and vitamins, 20% carbohydrates plus 1 Fruit (not canned).No more. 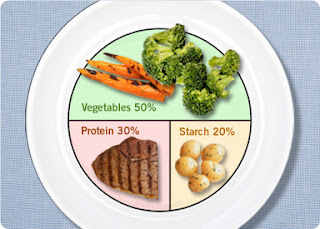 No second or third helpings and use a 9" dinner plate instead of a 10" or 12" dinner plate. Breakfast means just that, a break in your fasting. Since you are sleeping 8 hours per night your body needs to be refueled once you wake up. Eating breakfast provides your body with the nutrition it needs so you will start your day with more energy and less irritability as your stomach growls and you feel like you are starving. A proper breakfast should be non-bleached oatmeal, a 4 ounce glass of milk and juice as well as a fresh fruit such as a sliced banana or your homemade dehydrated fruit. Grab a homemade egg sandwich which can be made up a week in advance and heated up. Again, nothing that comes from a can and especially not fast food breakfasts which are full of unwanted fats and little to no protein. Lunch is the meal in the middle of the day. Now that you have not eaten anything for 5 hours your body is starting to get tired once again. Lunch should not be a huge meal. A simple homemade sandwich made from real meat (not packaged meat), a slice of tomato and some lettuce along with water and fruit is the perfect lunch. Even a lunch made of left-overs from the night before is perfect. Nothing heavy and again no fast food. Dinner The last meal of the day which should not be eaten after 7:00 pm. This meal will have the protein and nutrition that your body needs while you are sleeping. Believe it or not as you sleep your body still needs fuel. Portion control, proper food choices and no restaurant take out food. The best exercise for every human is walking and swimming. Walking and swimming are both low impact exercises that will not put stress on your body. You can walk with a group of friends after lunch and dinner or walk along. Walk the dog; your dog will love you for it. Walk with the family and make it a family exercise. If a family takes a walk together they will find a better family unit and a healthier one as well. Teaching your children how important it is to exercise is frugal. Get a pass for your local pool or YMCA. Swimming can also be done as an individual or as a family group. Not to mention it is always a good idea to learn how to swim. Swimming is low impact and you are working every muscle in your body, more so than walking. 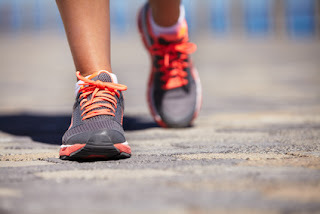 Exercising doesn't mean you have to run marathons or join a fitness gym that serves up expensive 'protein pills and powders' or expensive juices. All you have to do is simply walk or swim. Of course you need to drink water to keep your body hydrated. Simple and not expensive. Portion control and proper diet. 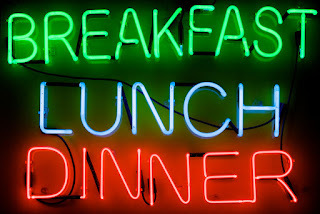 Nothing canned, boxed, processed, fried or fast food. Walk or swim every single day. 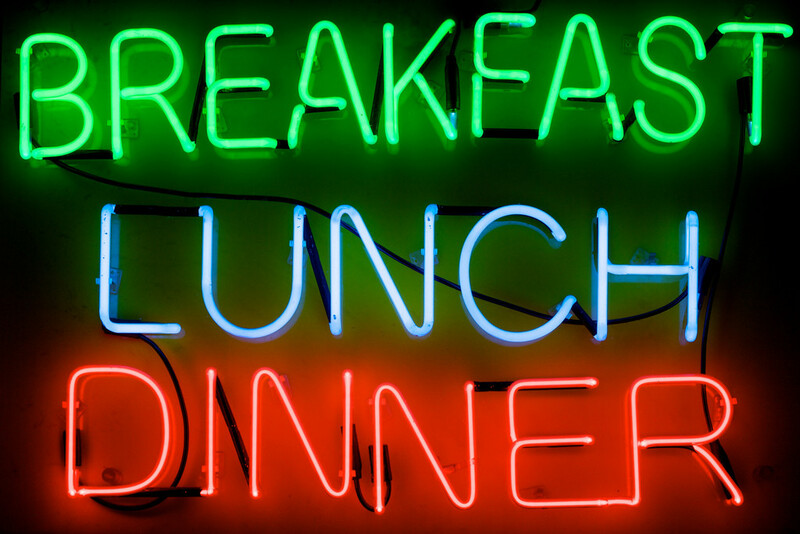 Don't eat after 7:00 pm because this is the time you are winding down from your work day. Your body is at rest and any foods eaten after this time of day will turn to unwanted sugars and fats. Stay far away from fad diets. Keep the money in your pocket instead of giving it to someone who is not being honest with you. Be determined to eat proper and exercise daily so you will loose unwanted weight and keep your body in shape. Exercising reduces stress levels by pumping needed oxygen through your entire body. Drink plenty of water to hydrate and help rid your body of free radicals. Stay away from protein drinks which do absolutely nothing but provide your body with unwanted sugars and drains your wallet. It is all up to you. Don't like what you see in the mirror then do something simple to change your lifestyle and portion sizes. Be determined that you want to live a healthy lifestyle. 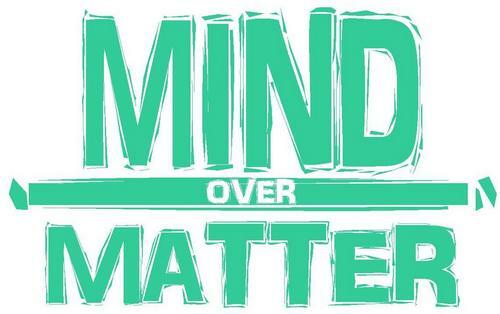 Be determined to take care of your body and mind. The money you save from eating properly and exercising can be used for better purposes than to make some stranger rich and you poorer. 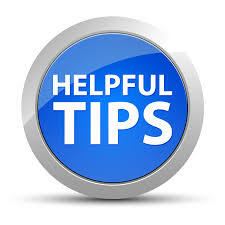 Do you have a frugal tip that you would like to share with others? I will be happy to consider your frugal idea and write an article about it giving you full credit. Don't be shy, there are many people who have great money saving tips that can help others. Besides, I can't think of all of them. The Frugal Bible is dedicated to the entire World so if you live outside of the United States tell me your story of how you live frugally and I will share your story. The Frugal Bible is a one of a kind website that has as many frugal ideas all in one place. Why not share your idea with the world. Write me an email and I will get back to you on the same day. Copyright 2016 Michelle Sargent All Rights Reserved. Simple theme. Powered by Blogger.